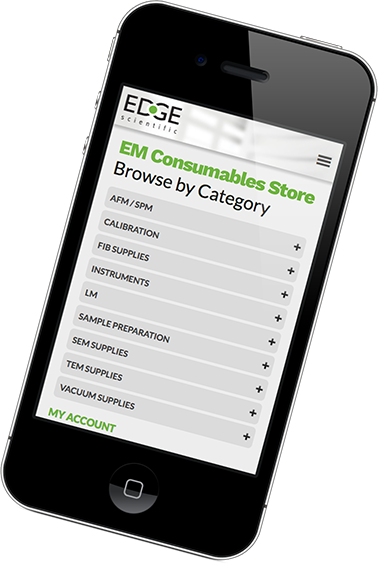 EM-Tec SH1 single stub storage tube is ideal for storing or transporting a single Hitachi M4 stub. Protects the SEM specimen on the pin stub from cross contamination. Capacity is a single Hitachi M4 stub with 15mm diameter. The stub is screwed on the M4 thread in the brown LDPE cap (base) of the clear polystyrene tub. Suitable for both the 6 and the 10mm high stubs. Maximum specimen height 25-20mm. 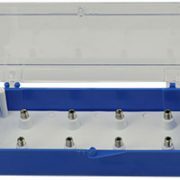 EM-Tec SH8 clear/blue styrene box with 8 storage positions for Hitachi M4 stubs with 15mm diameter. 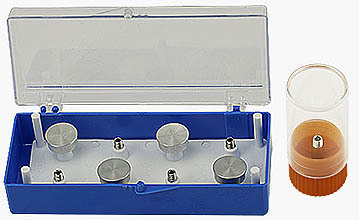 Made from polystyrene with clear lid and blue base with LDPE insert with threaded posts. Outside dimensions are 116 x 55 x 32mm, 13mm clearance which leaves a maximum sample height of 10mm on the 6mm high Hitachi M4 stubs., The insert can be lifted out of the box to facilitate easy sample loading and removal.